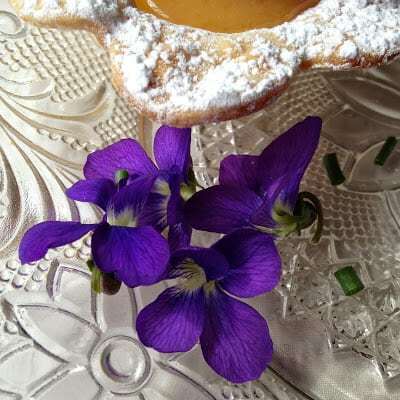 Edible flowers add eye catching color and intriguing flavor. 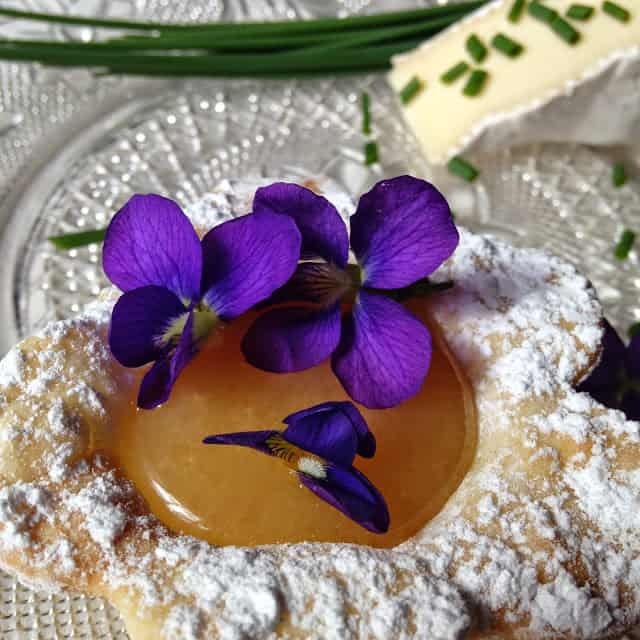 Spring and early summer is the perfect time to add edible flowers to dishes. 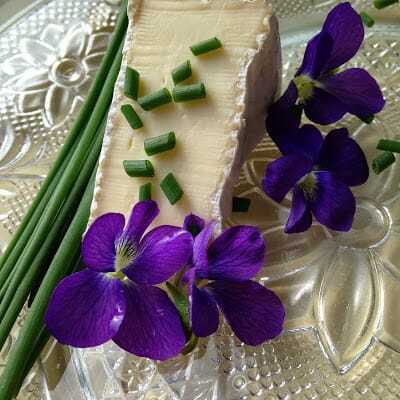 Like herbs, the more fragrant an edible flower is, the more flavor it will have. 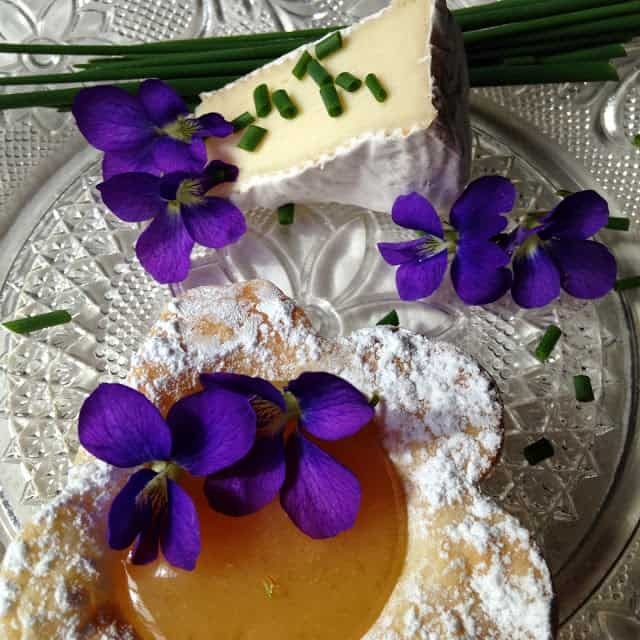 Garnishing with Edible Flowers and Brie with Honey are both great ways to experience edible flowers. 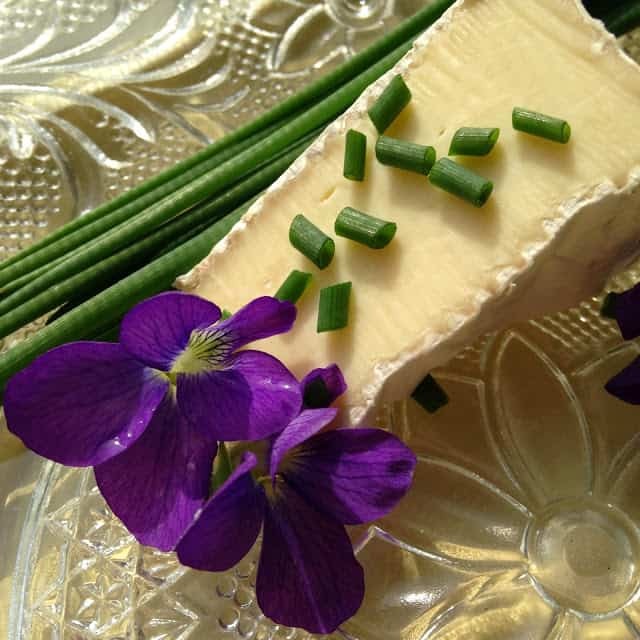 Many edible flowers are perennial making them economical and easy to grow. The best way to have a steady supply of edible flowers is to grow them yourself. 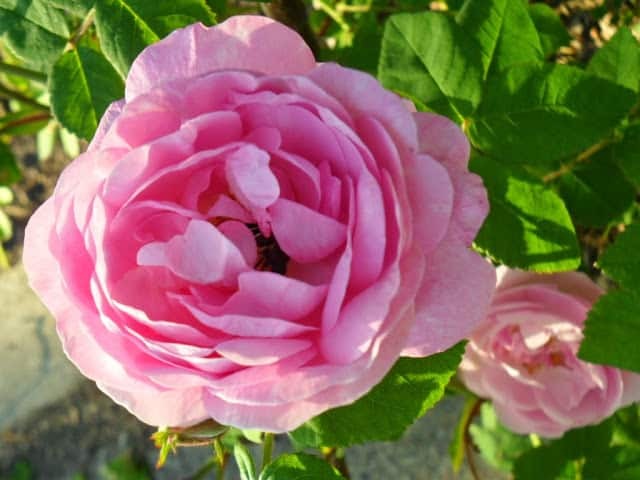 You can then grow flowers that are chemical and pesticide-free. If you don’t garden, look for edible flowers in the produce section of your supermarket or health food stores. Talk to your florist and ask if the flowers they sell are treated. Flowers look beautiful as a garnish on your plate but what do they taste like? 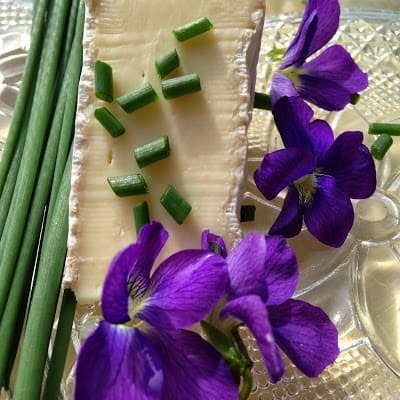 Here is a short list of common edible flowers and what flavor(s) they have..
Cut brie cheese into wedges. Remove outer rind, if desired. Drizzle wedges of brie cheese with honey.